The Queens Museum’s summertime staple, Passport Thursdays: International Dance, Music, and Film Series, returns for another exciting season featuring some of the many international locales that fuel Queens’ cultural and artistic vitality. This year’s adventure includes stops in the Philippines, Ecuador, West Africa, and North Africa. So leave your baggage at home and bring a picnic blanket out to Flushing Meadows Corona Park for an evening in the shadow of the majestic Unisphere. There will be free workshops for families before the films start and we won’t let a little rain spoil the fun, we’ll just move the whole event indoors. Prior to each screening we will be premiering unique “teasers” for State of Emergency (2017), a collective video installation project conceived in response to the current political crisis and composed of poetically-juxtaposed clips by more than 60 artists and filmmakers (Curators: Nina Felshin and Lenore Malen; Projection Designer: Ruppert Bohle). 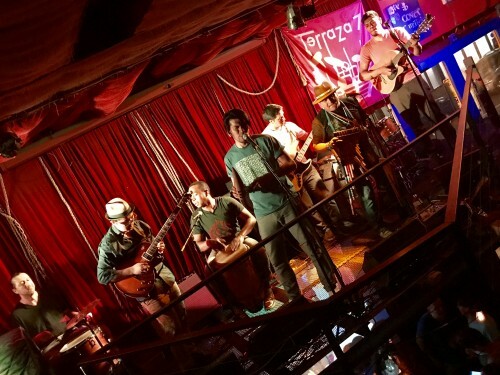 Chota Madre is a cultural movement whose main purpose is to diffuse and broadcast Ecuadorian music through the Bomba genre from El Valle del Chota. Bomba was born and flourished from the cultural exchange between the indigenous, mestizo and African communities living in proximity to the provinces of Carchi and Imbabura in Ecuador. Bomba is characterized by the percussion Bomba drum, handmade by the African descendants living in the area. Together, the requinto (small guitar), the güiro and male and female voices will transmit color, feeling and passion to the people. The inspiring story of three young soccer players chasing success in the face of extraordinary challenges. 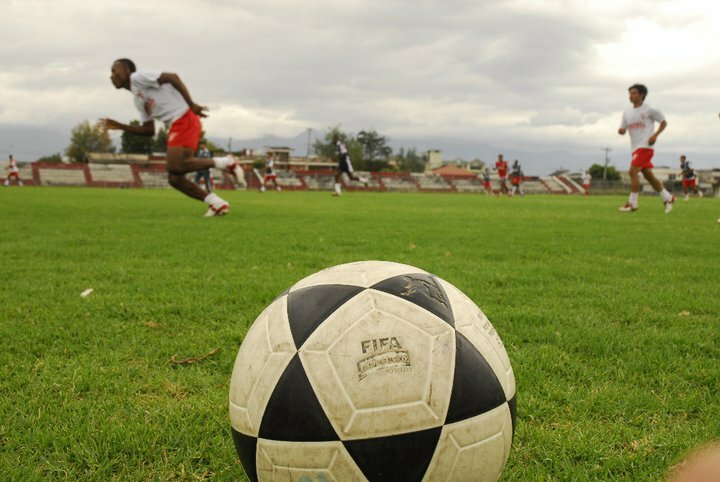 Entwined with their athletic dreams are the hopes of all Afro-Ecuadorians, for whom soccer is more than a sport but the means to recognition and respect they have long been denied. Watch the trailer here. La inspiradora historia de tres jugadores de fútbol jóvenes que persiguen el éxito a pesar de desafíos extraordinarios. Entrelazados con sus sueños atléticos están las esperanzas de todos los afro-ecuatorianos, para los que el fútbol es más que un deporte un medio de reconocimiento y respeto. Vea el trailer aquí. Passport Thursdays are made possible by Delta Air Lines—the Queens Museum’s official airline—and Astoria Bank. Additional support is provided by the New York City Department of Cultural Affairs and the New York State Council on the Arts with the support of Governor Andrew Cuomo and the New York State Legislature.